Groot-Bijgaarden Castle is a 12th-century castle built for Almaric Bigard, the first lord of Bigard. The castle is surrounded by a wide moat spanned by a bridge with five arches, leading to the drawbridge. The central part of the gatehouse dates from the 14th century; a four-storey keep tower is situated by the side of the gatehouse. 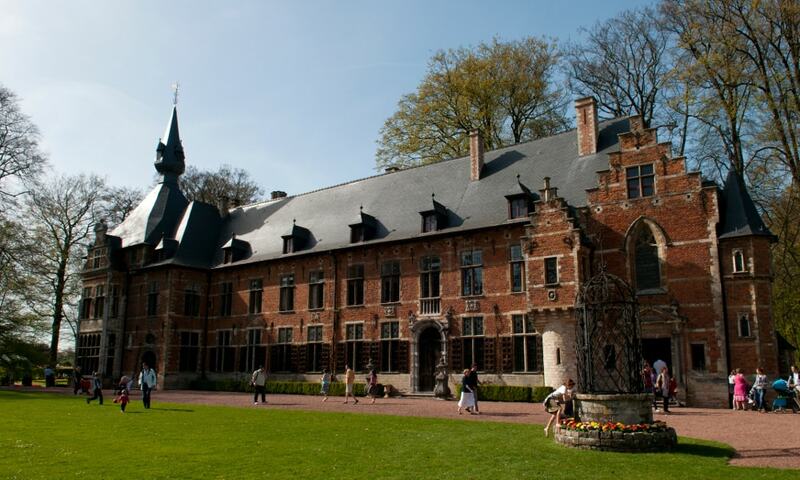 The castle was built in the Flemish Renaissance style, with red brick and a slate roof. A 14-hectare park alongside the castle was designed at the start of the 20th century. The park is open in spring every year since 2003 for an international flower exhibition with tulips from the Netherlands.